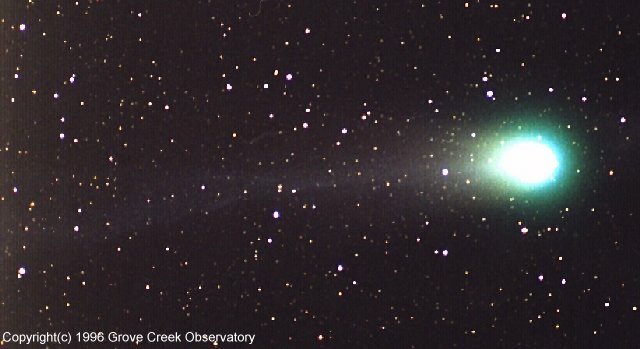 Comet Hhyakataki was a wonderful sight after the disapointment with Halley's Comet. It was naken eye even from Sydney and it's tail was over 20 degrees long! Taken with the Pentax 10cm astrograph @ f/4, piggy-backed on the C-14. Photo by Jim Lynch & Steven Williams using Kodak Gold III 400 film, 20 minutes exposure.